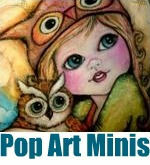 Pop Art Minis: Artists Village Art Walk 5/5/2012 Avantgarden Gallery Debut! Artists Village Art Walk 5/5/2012 Avantgarden Gallery Debut! 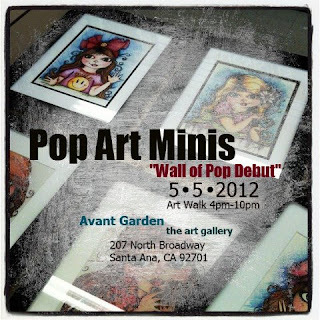 Hope to see you this weekend as Pop Art Minis make a gallery debut with an all original "Wall of Pop" during this weekend's Art Walk at the Artists Village in downtown Santa Ana! A great way to celebrate Cinco de Mayo and a full moon! I hope you have a wonderful walk! 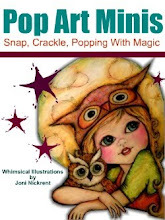 I'm looking forward to summer so I can get out to the surrounding art walks and craft shows.